But that win is only possible when companies have a plan for supporting efficiency and fostering streamlined, engaging teamwork, and when individuals are prepared to collaborate productively. Not every organization fares so well. 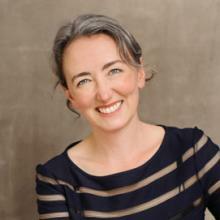 Lisette Sutherland knows what it really takes to make remote work effective. 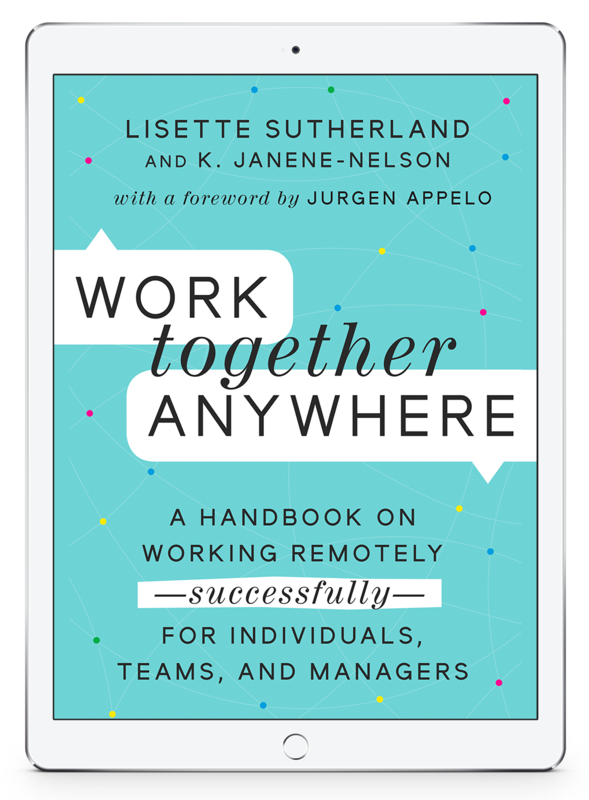 Join us for a discussion with Lisette about the top strategies of successful remote teams, all revealed in her new book Work Together Anywhere: A Handbook on Working Remotely — Successfully — for Individuals, Teams, and Managers. 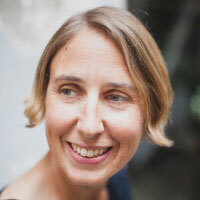 We'll learn Lisette's top tips, and then open the discussion to your questions. If your team struggles to make remote work a success, this is a can't miss free opportunity to get advice directly from one of the world's foremost experts on remote working. "Absolutely amazing. The interviews shed light on the realities of what it takes to work remotely and the author's authentic voice pulls you in and takes you on her journey with her. This is a unique book that's tapped into a niche market that's only continuing to grow. Bravo, well done. I highly recommend it for anyone who cares about remote working and doing it well!" "Remote working, flexible working, smart working … just the explosion of jargon is a key indicator of the socioeconomic shift which signals the mass-market need for this book…. [I]f I could reach back through time and hand my early-millennial self a copy of Lisette Sutherland’s new book Work Together Anywhere, it would have been a priceless gift…. [It’s] a really comprehensive manual of checklists, considerations and questions … [a book] to dip in and out of regularly, taking pride of place on any workspace bookshelf - wherever it is."